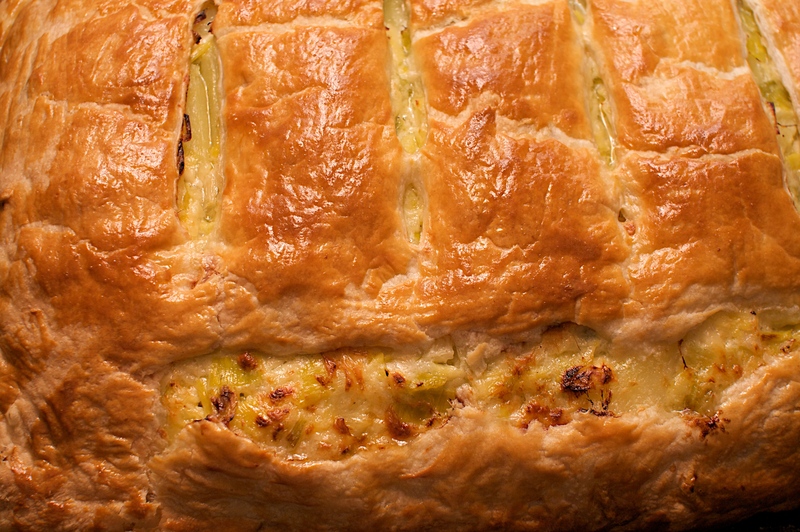 It’s another Irish Food Bloggers Association Cookalong and this time the theme is Irish. 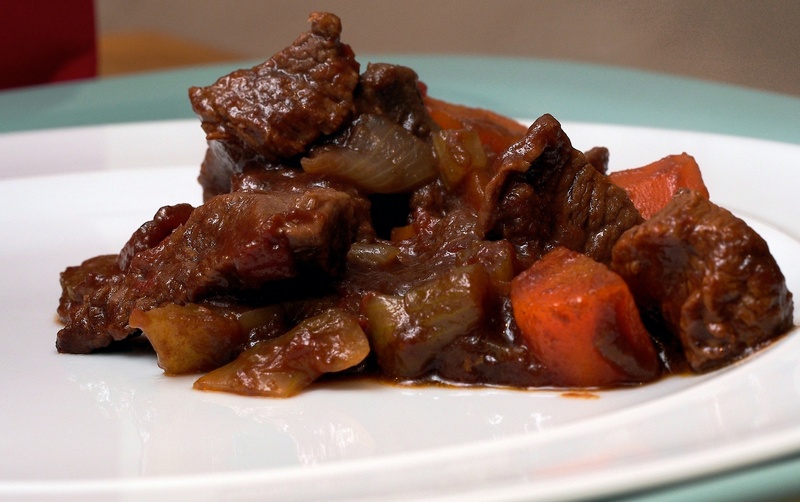 We were tempted to do an Irish stew but thought that was a bit obvious, we thought about beef and Guinness but that’s not all that original either and then to make things more difficult we invited a vegetarian for dinner. It was then that we thought about using some Irish cheese as the base for a dish and after eating many variations of cheese and pastry all week we came up with this. 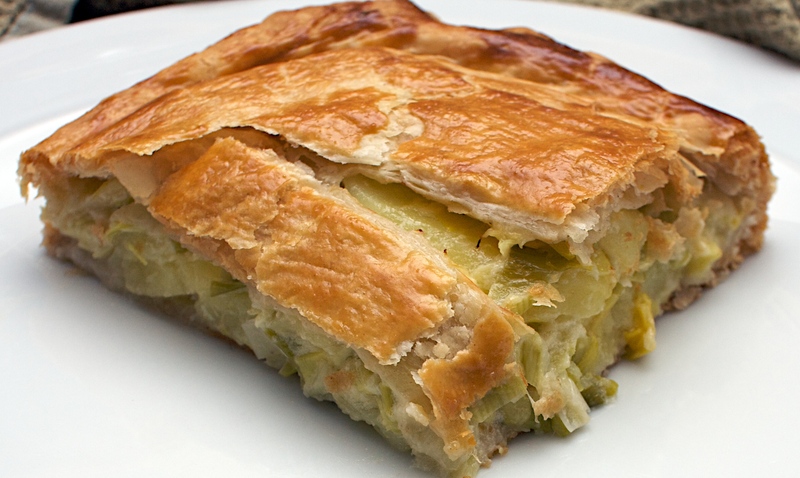 Irish potatoes, leeks and a west Cork Cheddar all baked up in a pie. Delicious!! Peel the potatoes and cut them into slices. Boil in plenty of salted water until tender (it’s ok if they go a bit mushy). Meanwhile, throw away the very green bit of the leeks and slice the rest into rings. Wash really well in cold water to get rid of any grit. Melt the butter in a saucepan and add the leeks. Cover and cook over low-medium heat until tender – about 20 minutes. Mix the leeks, potatoes, creme fraiche and cheddar and season well with salt, pepper and a little bit of nutmeg. Roll the pastry into two rectangles (about the size of your baking sheet). Pile the potato mixture into the middle of one sheet and leave a good rim around the edge. Brush the edges with beaten egg and lay second piece of pastry over the top and press the edges down, pinching firmly to seal. Trim off any excess. Brush all over with the egg and cut 3 or 4 slits along the width of the top. Wine suggestion: A full-bodied white was nice with this. We had a Santenay Blanc followed by an oaked Semillon from the Clare Valley.